Established in 1999, this DO was created for two purposes. The first was to allow wineries sitting outside of any of the other 11 DOs in Catalonia to be able to produce wine under a regulatory body. The second was to allow cross-blending from different regions which largely benefits the extremely large producers that are found in DO Penedès who can buy cheaper fruit from other regions such as DO Terra Alta. Naturally, this region should be classified as an IGT or Indication of Geographic Typicity that would be at the level of a Vin de Pays in France which are often referred to as Vino de la Tierra (or in Catalan, Vi de la Terra) in Spain although none exist in within the borders of Catalonia. This other level would be more ideal as the soils, climates, grapes, and winemaking vary vastly over this DO and to name a discernible, singular quality to the wines that you find in the other DOs is impossible other than to say that they’re “Mediterranean wines”. The nature of DOs in Spain, unlike other countries in Europe such as France or Italy is that they almost never overlap and you can only make wines under the DO where your cellar and grapes exist. DO Catalunya forms an exception to this as any cellar in 10 of the 11 Catalan DOs can produce a DO Catalunya wine if they have a vineyard with grapes that fall outside the allowed varieties or they want to blend in grapes from outside their immediate DO. In DOQ Priorat this is not allowed and any wine produced within a cellar in Priorat must be of DOQ Priorat grapes and bottled as such. Absolutely no DOQ Catalunya wines nor even “table wines” may be produced within a DOQ Priorat cellar. Despite the various quirks to DO Catalunya it has managed to have a great deal of wine produced under it and today there are nearly 250 wineries in Catalonia that either make use of it for one or more of their wines, or are producing wines fully as DO Catalunya. 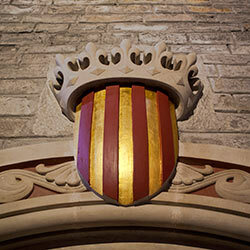 Please peruse more articles about the wines of DO Catalunya. True what you say but it has another side too. It is usefull to protect with a D.O. umbrella winneries that have good quality wines but their vinyards are not in any other D.O. territory. A good example Bodegas Puiggròs from Odena with great wines. But that’s not what a DO is. It’s a protected area with a discernible typicity thus IGP in the EU standards. This is why there’s a good possibility that the winemakers in Tremp will break off from the greater DO Costers del Segre in the near future. What you’re describing is what I said which is an IGT or in this case, Vi de la Terra which is what DO Catalunya should be. I wasn’t inferring that the wineries within it were bad as while I haven’t tasted all of them I’m sure there are some at all levels, just like in the DOs, but there’s no unifying theme theme of origin. If you say some of the wines from Clos d’Agon under DO Catalunya in Baix Empordà are of a style that is very similar Segura Viudas in Penedès, I can’t say that I would ever agree.